The 2015 Curriculum Institute will take place on July 9 - 11, 2015 at the DoubleTree by Hilton Hotel Anaheim-Orange County, located at 100 The City Dr S, Orange, CA 92868. Curriculum is the heart of what we, as educators, do. Keeping our curriculum healthy requires our colleges to stretch, tumble, roll, drill, run, maneuver, and persevere through the curriculum race. 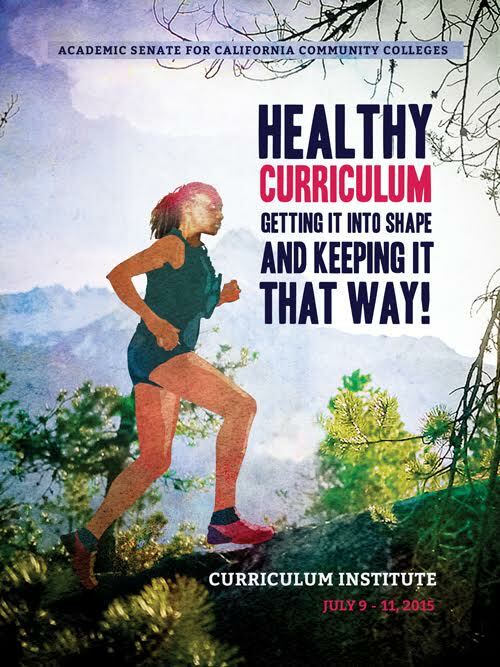 Whether you choose to build noncredit endurance, boost Career Technical Education (CTE) potential, venture into innovative activities, or get an overview of heart-healthy curriculum, this year’s curriculum institute will explore topics intended to help everyone keep curriculum healthy in spite of the changing environment in which we live. This year’s event includes a pre session option designed for new curriculum chairs, CIOs, and/or curriculum specialists. However, the more seasoned curriculum enthusiast may find it beneficial as well. Additionally, there will be a noncredit strand, a CTE strand, and a curricular innovations strand. Chancellor’s Office Staff will work with those new to curriculum about navigating the essential elements of the Curriculum Inventory. How do you advise faculty to approach the COR either as a new course or an update? Join us for a practical orientation to curriculum. Please REGISTER HERE for admission to the pre-session. There is no additional fee for the pre-session. It is included into your conference registration fees. Please note the Pre-Session Bootcamp registration will not submit a registration for the full conference. You must register for that separately with the registration link for main conference registration. Attendance to the main conference is required for Bootcamp attendance. Payment in full is required prior to attending the event. Attendees that registered before June 28th must pay before June 28th in order to secure the early registration rate. Call our office at (916) 445-4753 with questions. The cancellation deadline for a full refund is June 28, 2015 and will be assessed a $50 processing fee. Refunds will not be granted for cancellations after the posted cancellation deadline of June 28, 2015. Please keep in mind that registrations are transferable. Please review the Senate Cancellation Policy here. Call ASCCC Offices at (916) 445-4753 with any payment questions. *** The DoubleTree by Hilton has sold out for July 9th-11th*** We have listed some similar properties below for alternate hotel reservations. The DoubleTree by Hilton Hotel Anaheim-Orange County is located at 100 The City Dr S, Orange, CA 92868 is 20 minutes from John Wayne (SNA) Airport and 45 minutes to LAX and located on the doorstep of Disneyland Park and Anaheim Convention Center. The DoubleTree Hotel Anaheim Orange County does not provide a hotel shuttle service from/to the airport. If you are traveling by car, please see driving directions, from the airport or any other location. Attendees will receive the discounted parking rate of $10.00 per day. Outcomes or Objectives: What's the difference? Evaluating your Curriculum Committee:-How do we know if we are effective and do we even need to improve?